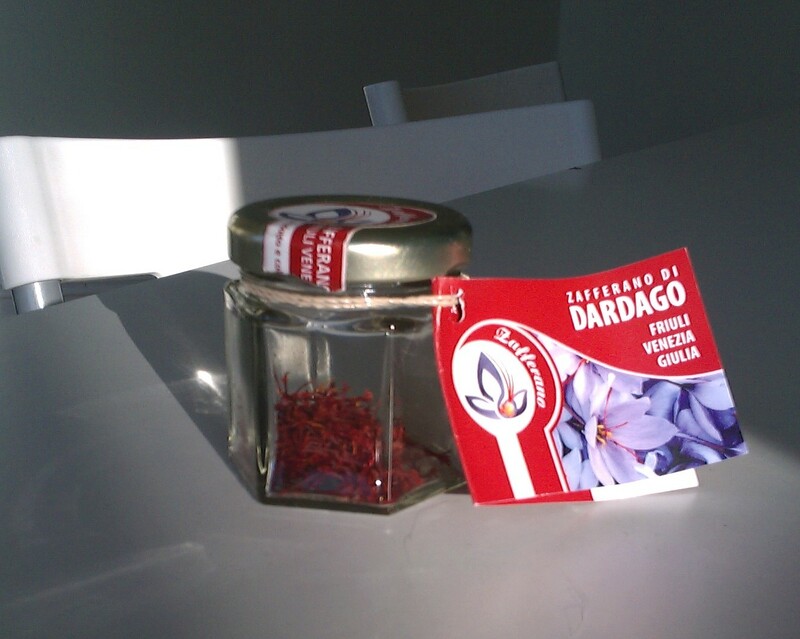 Back from a long winter break in Italy, I brought along a few grams of saffron produced in Dardago, at the shadow of the Riva Panthona, graciously donated to yours faithfully by Diego. 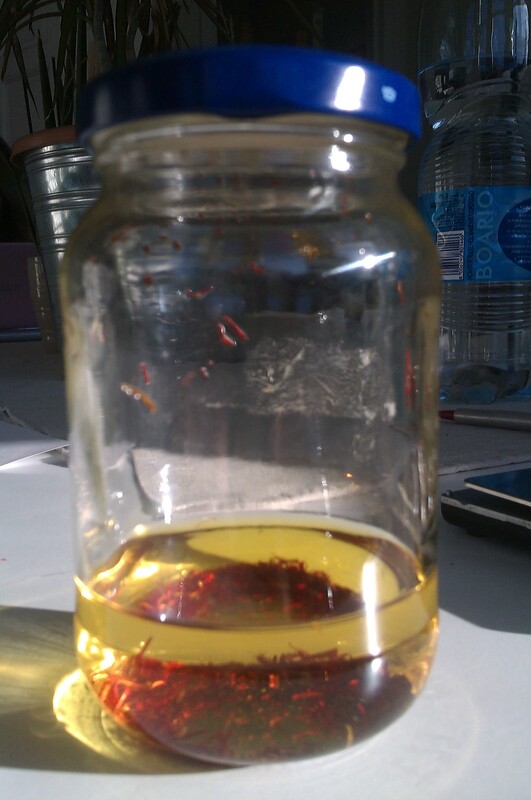 Now, the tincture has to sit for at least six months before it gets to maturation, but it’s well worth waiting: the saffron itself has a warm, rich and round smell and I can’t wait to see how the tincture will smell in combination with other ingredients. For the time being, I will make experiment with a saffron tincture sourced elsewhere (I am informed that saffron stigmas can also be distilled into an essential oil, but it does not seem it is still produced today, due to the small amount of oil you can obtain from it), but oh well. The idea behind this was to create a fragrance around this saffron that evokes the genius loci, possibly with a strong personal twist. I am yet to see how it works with my Iranian rose otto, but if it generates the effect I expect, I am going to come up with something very special, which Diego will be proud of.